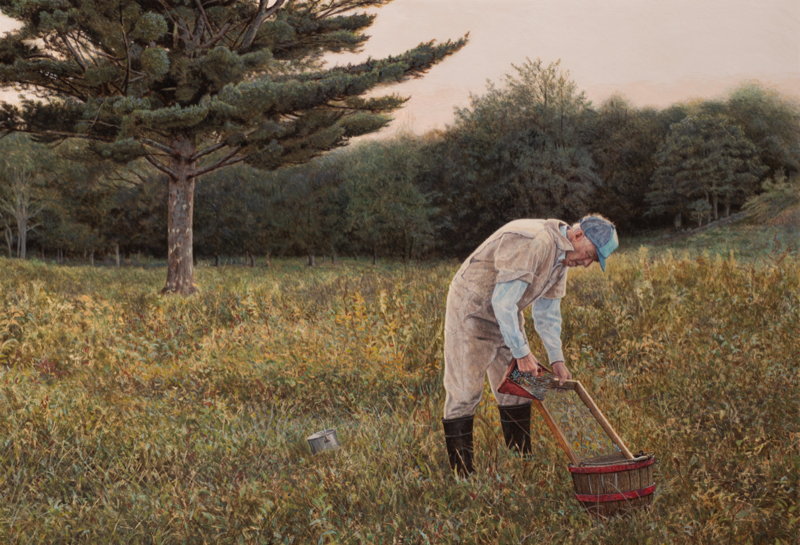 The setting of this painting is in rural Maine, where I had visited recently. Blueberries are collected with this remarkable hand rake that looks like a dustpan with spikes. The long mesh frame is used to separate leaves from the berries, which roll down into the basket. The subject was our host, who drove Sarah and me around many of the nearby sites where Andrew Wyeth painted. It was a dream visit.